The two images featured this week are experimental sketches I am using to gauge how they are received before I design a landscape for a more permanent medium. 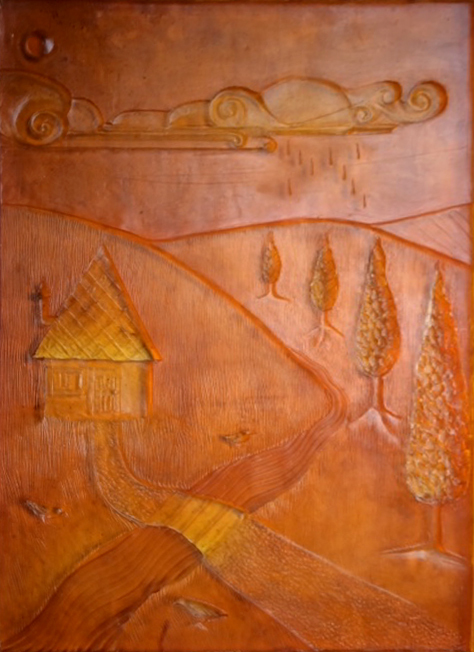 Josh Miele has generously agreed to talk to me about his impressions of them and tactile images in general. right-click here and select “save link as” to download this audio file. Go to CONTACT fill in your email address and in the First Name field write your name plus the word Contest. Click here. You could win a white thermoform copy of the mountain landscape and your name will be added for update notifications too! On June 17th we will revisit this post and see what people are thinking. If you would like to start talking about it now add your comment below. 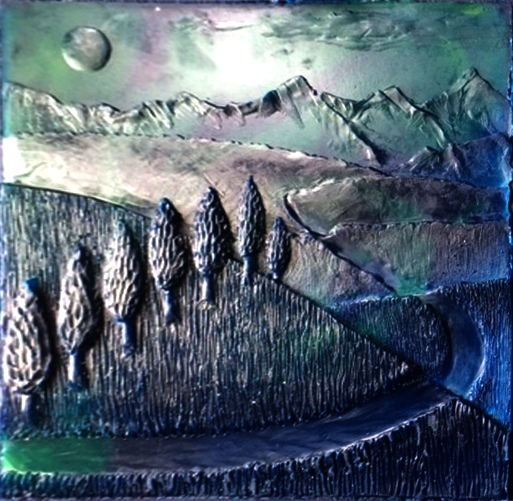 New Mixed Media Tactile Pictures! Salem looks at “Ghost Dog” and Olivia checks out “Consternation” at the Colorado Center for the Blind. I made these mixed media sculptures to see what kind of tactile response people would have. 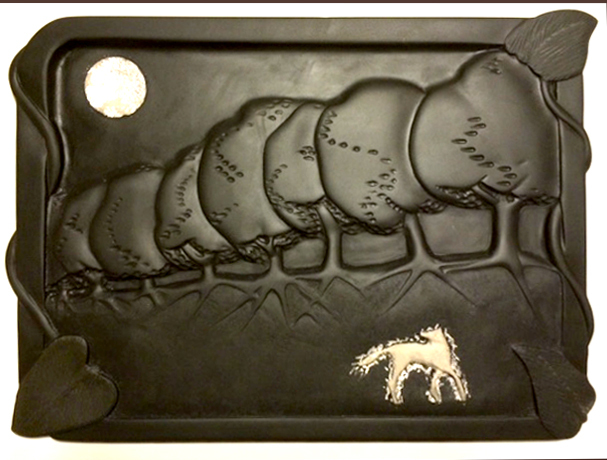 Mixed media bas relief tactile sculpture made of slate, limestone, and silver leaf by Ann Cunningham. 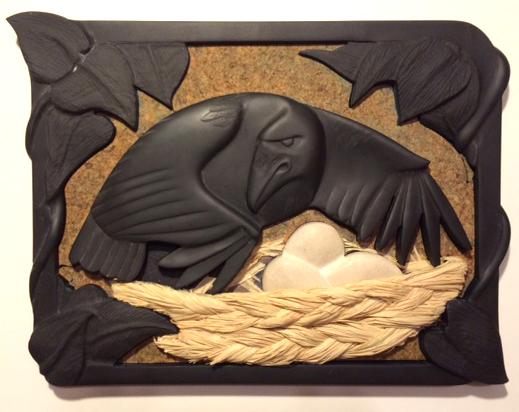 Mixed media bas relief tactile sculpture made of slate, limestone, cork, and raffia by Ann Cunningham. To sign up for blog updates add your email address here.